If you are installing Vinyl flooring in your property, you will need a special kind of underlay that is thin enough to go between the vinyl tile and your existing floor. 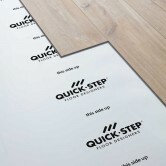 The underlay will help to cushion your vinyl floor, resulting in a comfortable floor to walk on. 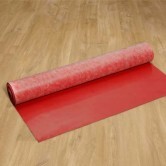 Have a look at our different types of underlay suitable for vinyl floors. 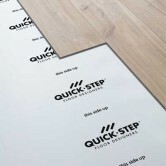 Your choice will depend upon whether you are looking for a basic underlay or whether you wish to use underfloor heating. If you would like to speak to one of our technically trained team about which is the best underlay for you, or how to use the underlay, then please call our sales office. Alternatively, you may want to have a look at our Installation and Fitting Guide. For any advice or guidance about which type of floor you need, or fitting your floor, please either visit our Leicester based showroom or contact the sales office where we will be more than happy to help.